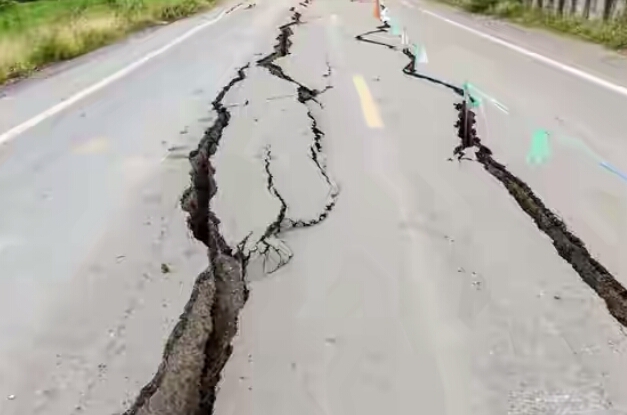 Panic is the word in some parts of Abuja amidst reports of earth tremor in the capital city, particularly in the highbrow Maitama district of the Federal Capital Territory (FCT). Taking to his personal tweeter handle, Senator Dino Melaye, Chairman Senate Committee on FCT, who said he has already briefed the FCT Minister on the issue. Also tweeting via his own personal tweeter handle also, Senate President Bukola Saraki, urged the National Emergency Management Agency (NEMA) and “all emergency services to be on high alert to prevent the loss of lives and property. Melaye had written on Friday: “I have informed the FCT Minister and Perm Secretary on the scaring earth movement in some parts of Abuja at 6:11am. I felt earth tremors in my home in Maitama too. In a message to friends confirming the tremor, one Sonny Iroche, a resident of the FCT, “just this last Wednesday, September 5, at around 4.30pm, I was in my bedroom at home in Maitama, Abuja and felt a severe earth tremor. So, I decided for safety reasons to drive outside. I narrated my experience to a few people. “Then again, this morning, September 7, at around 6.12am, as I was reading a statement issued by the Federal Capital City Emergency Agency, confirming the Wednesday’s tremor, sent to me by one of those I had told my experience, another earth tremor occurred. “I’m still shaken, in my car, as I’ve again driven out to stay in my car on a clear road. I’m still in the car outdoors as I type this message. “I’m billed to travel out of Abuja on Sunday. But with this frequent tremor, I may have to get the next available flight out of Abuja. I however pray that this isn’t a sign of a looming earthquake about to happen in Abuja. “Please continue to pray that this doesn’t happen, as we pray that God will spare us this additional trauma as a Nation. Nigeria has so far been blessed by not experiencing such natural disasters, as earthquakes, volcanic eruptions, tornadoes,” he Iroche added. It is a slight earthquake.